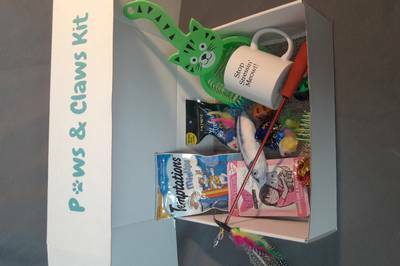 Enter your email address below to receive a notification when Paws & Claws Kit LLC starts accepting new sign-ups! 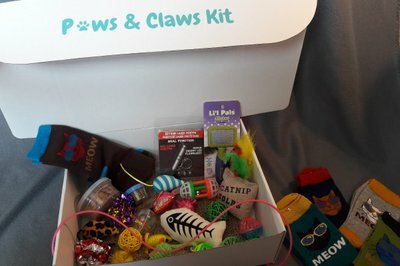 Enter your email address below to receive a notification when Paws & Claws Kit LLC is accepting new sign-ups again. Boxes ordered the 1st- 14th of every month will be shipped 3 days after the 14th. Boxes ordered the 15th-30th of every month with be shipped 3 days after the last day of the month. 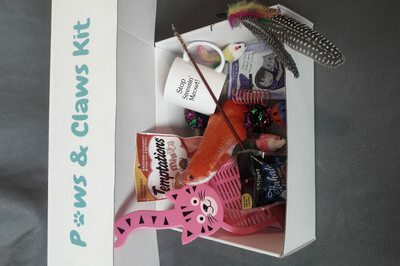 Paws & Claws Kit - your cat will love our box! Paws & Claws Kit is a subscription box that makes being a cat owner easy. 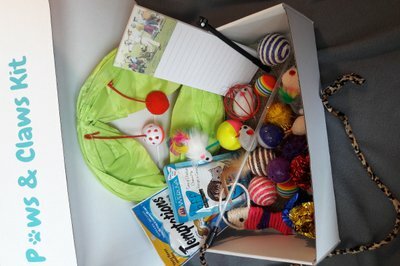 Every month you will receive a box filled with treats, toys, food, nip and accessories your cat will love. Guaranteed to have them purring. No more clawing on that sofa either; we design the bottom of every box like a scratching post. We leave a special gift for you too! 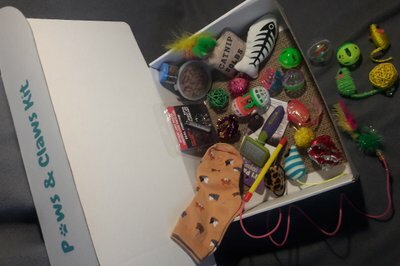 Great little box for my cat! This was worth the money. 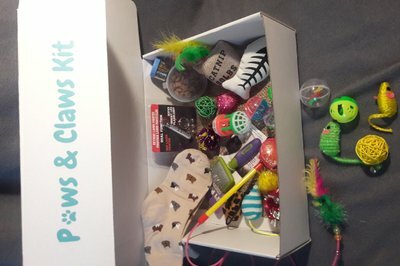 My cat loved the toys and treats (only one treat he didn't like and I'm still not sure what the treat is... like a ball of catnip maybe?) And I loved the coffee mug they sent me. Pooper scooper is cute and i appreciate it but its flimsy. My four cats loved this box! They can hardly wait for the next one! 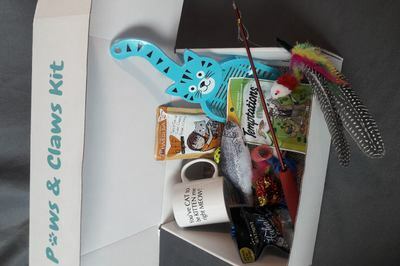 A really good box for cat lovers. 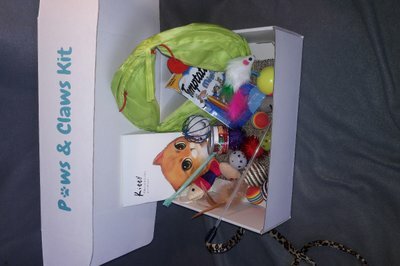 It's always full of delightful supplies that keep my kitty's mind engaged; she's loved at least a few things from every crate so far, and the presents for the owners are very welcome, too. 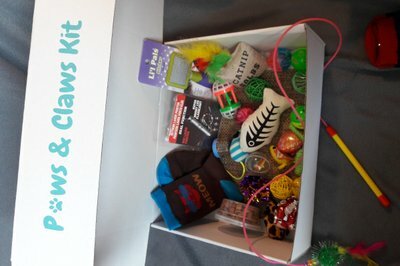 Riley is in love with her new Paws & Claws kit she’s enjoy using the toys but definetly the box is her favorite she’s been sleeping in it. I love seeing my baby happy. 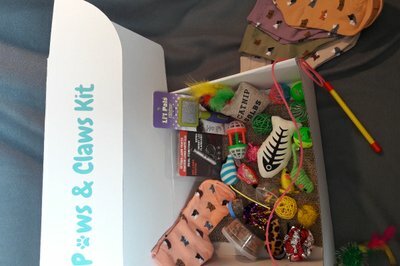 My cat Chloe absolutely loved her Paws and Claws kit and I did too which is the best part. 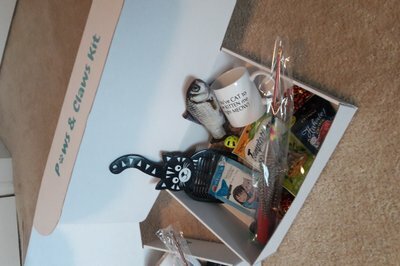 I love her personalized kit and def the scratching post inside the box is my favorite .